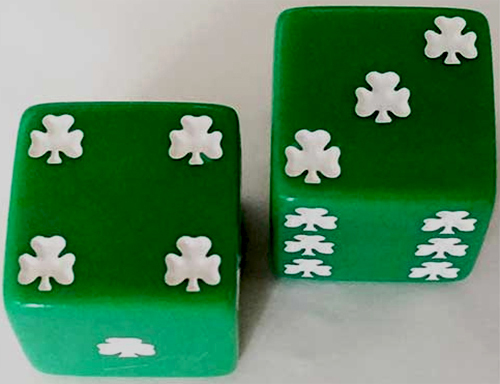 Get lucky with these jumbo size shamrock dice. The Irish dice are 1" square green cubes with white shamrock shaped pips. The lucky Irish dice are gift boxed in a plastic cube along with a shamrock history card, complements of The Irish Gift House.